Shure® MX395 low-profile microphones are for use in boardrooms and other sites where aesthetics are important. 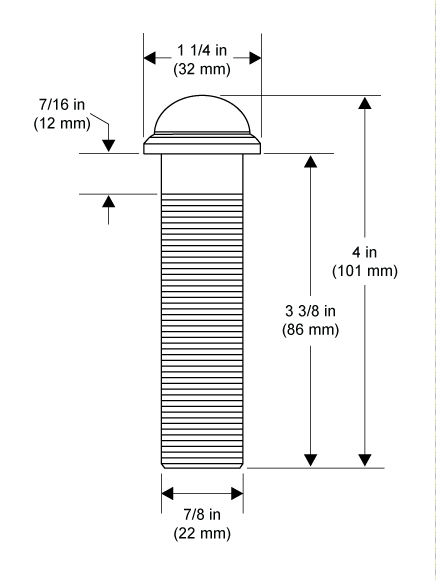 The MX395 is only 2.5 cm (1 in.) in diameter, and extends just 2 cm above the mounting surface when installed. Despite its small size, the MX395 delivers clear, high quality sound. The MX395 is available in cardioid, omnidirectional, and bidirectional polar patterns, with or without an LED status indicator, with a black, white, or aluminum finish. The polar pattern is indicated by the molded grille. 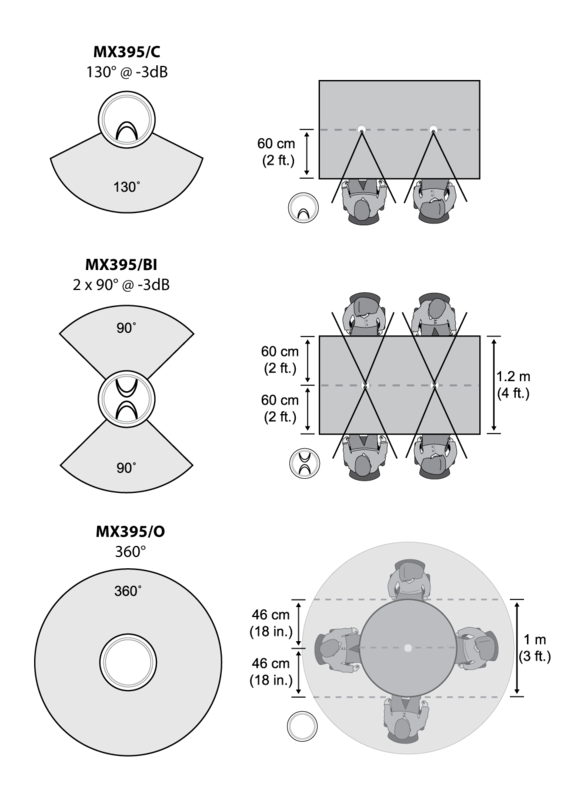 For best low-frequency response and rejection of background noise, place the microphone on a large, flat surface, such as a floor, table, or lectern. To reduce reverberance, avoid reflective surfaces above or to the side of the microphone, such as beveled sides of pulpits or overhanging shelves. Set DIP Switch 1 up to engage the low cut filter, which attenuates frequencies by 6 dB per octave below 150 Hz. 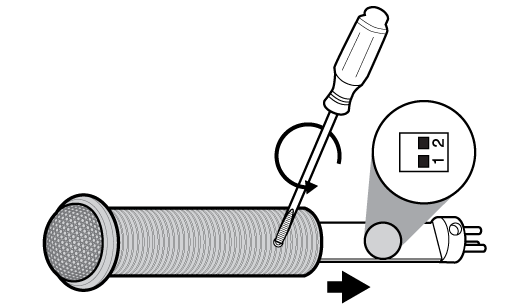 Install the microphone into a tabletop as shown. 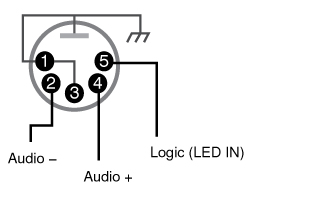 For models equipped with an LED, use the included 5-pin XLR connector to wire the microphone to an automatic mixer or other logic device. Note: Connect the LED IN to the gate output to illuminate the LED when the channel is gated on. Do not use the relay ports on Crestron and AMX devices. Use the I/O logic ports instead. 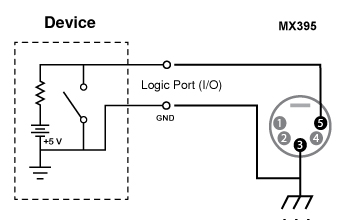 The LED logic may not function when connecting to devices that do not have internal "pull-up resistor" logic circuits, such as ClearOne DSP products. External pull-up resistor circuits can be added for each microphone. 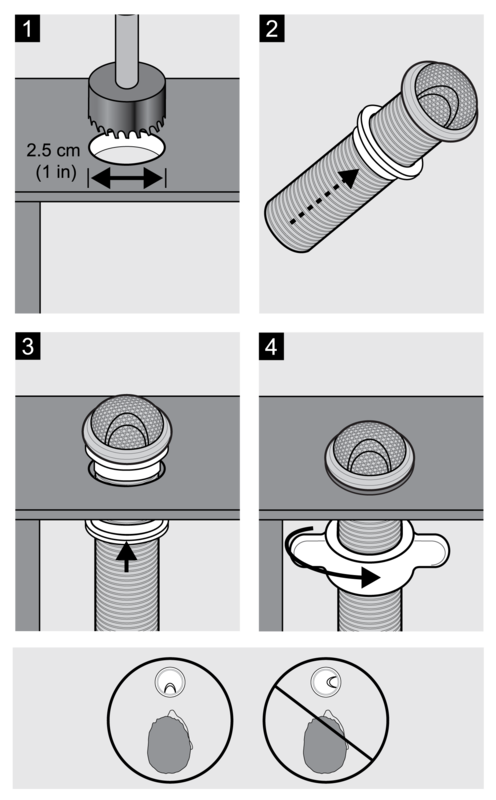 Vistit www.shure.com/FAQ for detailed instructions.